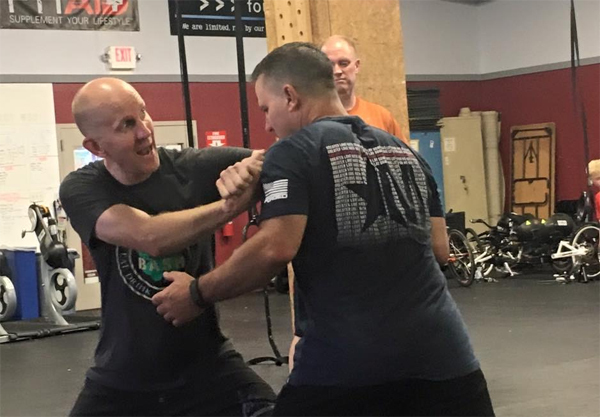 6 WEEK SELF DEFENSE COURSE COMING TO CF! 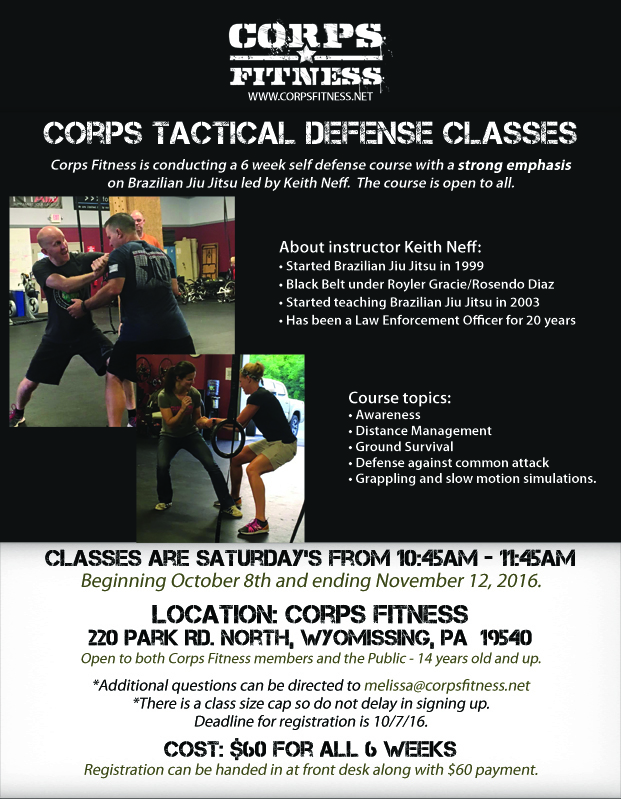 Join us on Saturdays beginning October 8th as Police Officer and highly trained self defense instructor Keith Neff leads us in a 6 week self defense course. All are welcome, both CF Members and Non-CF Members, ages 14 and up. Please see the flyer posted for all details. An RSVP to melissa@corpsfitness.net is required to reserve your spot.